While there are plenty of educational games on the market, many of the games kids love have nothing to do with education… or so you think. Plants vs. Zombies, Angry Birds, Candy Crush, Bubble Witch, and many other arcade-style games aren’t just mindless games. For example, did you know that Angry Birds Space was designed with help from NASA or that MIT has suggested that many arcade-style games could easily be modified to promote learning? Never judge a book (or an app) by its cover! These seemingly mindless games actually have a lot of potential for learning hidden inside. Many arcade-style games require math skills to play them successfully. 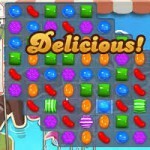 For example, games such as Candy Crush and Bubble Witch require kids to make match colors and make patterns to score points. 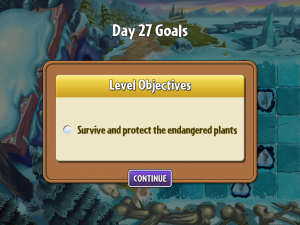 In Plants vs. Zombies, kids must keep track of time and the number of coins they have available to purchase items to help their performance in the game. In games like Angry Birds and bubble-shooting games, kids also indirectly learn about angles as they position the shooter to help them score the most points. Create your own word problems using examples from the game. For example, Player A needs 5 sunflowers to successfully defeat the zombies. Each sunflower costs 50 sun. How many much sun does he need? Many of these games, such as Plants vs. Zombies, have narratives built into their structure. Because kids are so involved in the game, they are often able to comprehend more difficult words in context. The same is true when it comes to reading books about the games. For example, the Plants vs. Zombies Official Guide to Protecting Your Brains has a Lexile level of 860L, traditionally the 5th or 6th grade level, but a 1st, 2nd, or 3rd grade child could easily understand some of the more difficult words in the text such as horde or collaborate. Encourage them to read the instructions and any on-screen words out loud. Keep a special game word-list in a notebook or in a file on your computer and incorporate the words into vocabulary lessons. Have kids write stories about their favorite games which will naturally encourage them to use the vocabulary they’ve encountered. Often some of the biggest lessons are hidden within the characters and settings of the games. When kids play many of these games, they’re playing them in a variety of different settings. One round may have them playing in Ancient Egypt, while another may have them playing in a tropical rainforest. While kids may not learn concrete details about these places, they’ll begin to develop an understanding of different geographic areas and many of the symbols and vocabulary related to them. Other times games require kids to follow maps to get through the game which helps reinforce basic map-reading and geography skills. Point out when the setting changes and ask kids to describe where they think they are in the game. Ask kids what they need to do to get to a particular level, encouraging them to point out steps on the game’s path. Have kids explain what certain symbols in the game mean to connect with reading a map’s key and understanding different text formats. 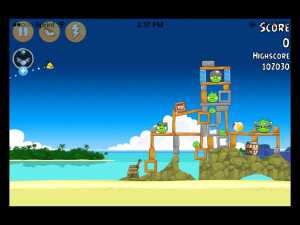 At its core, the game of Angry Birds is very much a physics game, with kids learning about gravity, force, motion, which is why it was natural for NASA to work with Rovio to create Angry Birds space. The same is true of many shooting and racing games. Kids who don’t understand motion or force may not be as successful at these games. While kids may not understand advanced physics by playing these games, they’ll get a lot of the basic principles down. Ask kids to explain what happened and why it happened or to explain what they could do differently if something goes wrong. Set up experiments within the game. For example, see what happens if you always shoot the bird at a particular angle or what happens if you try to only pop balloons on the edges of a pile, rather than in the middle. Talk to kids about the results of the experiments. Point out any underlying scientific principles. 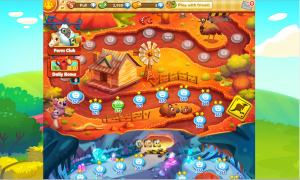 For example, in Farm Heroes Saga kids must swap a seed with water to grow a flower, which connects with the fact that seeds need water to grow in real life. Beyond the core academic skills, many of these games also help kids with social and emotional skills. As kids play, they learn to take risks and deal with failure. They also learn to set and reach goals throughout the game. These skills alone are very valuable and can be tapped into to help kids improve their academic performance too.